This article is about the British statesman. For the steel manufacturer, see Arthur Balfour, 1st Baron Riverdale. "Lord Balfour" redirects here. For the extant titles in the peerages of Scotland, Ireland, and the United Kingdom, see Lord Balfour of Burleigh, Baron Balfour of Glenawley, and Earl of Balfour. Arthur James Balfour, 1st Earl of Balfour, KG, OM, PC, FRS, FBA, DL (/ˈbælfər, -fɔːr/, traditionally Scottish /bəlˈfʊər/; 25 July 1848 – 19 March 1930) was a British statesman and Conservative Party politician who served as Prime Minister of the United Kingdom from 1902 to 1905. 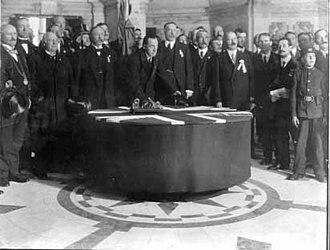 As Foreign Secretary under David Lloyd George, he issued the Balfour Declaration in November 1917 on behalf of the cabinet. Entering Parliament in 1874, Balfour achieved prominence as Chief Secretary for Ireland, in which position he suppressed agrarian unrest whilst taking measures against absentee landlords. He opposed Irish Home Rule, saying there could be no half-way house between Ireland remaining within the United Kingdom or becoming independent. From 1891 he led the Conservative Party in the House of Commons, serving under his uncle, Lord Salisbury, whose government won large majorities in 1895 and 1900. A brilliant debater, he was bored by the mundane tasks of party management. In July 1902 he succeeded his uncle as Prime Minister. He oversaw reform of British defence policy and supported Jackie Fisher's naval innovations. He secured the Entente Cordiale with France, leaving Germany in the cold. He cautiously embraced the imperial preference championed by Joseph Chamberlain, but resignations from the Cabinet over tariffs left his party divided. He also suffered from public anger at the later stages of the Boer war (counter-insurgency warfare characterized as "methods of barbarism") and the importation of Chinese labour to South Africa ("Chinese slavery"). He resigned as Prime Minister in December 1905 and the following month the Conservatives suffered a landslide defeat at the 1906 election, in which he lost his own seat. After re-entering Parliament at a by-election, he continued to serve as Leader of the Opposition throughout the crisis over Lloyd George's 1909 budget, the narrow loss of two further General Elections in 1910, and the passage of the Parliament Act. He resigned as party leader later in 1911. Balfour returned as First Lord of the Admiralty in Asquith's Coalition Government (1915–16). In December 1916 he became Foreign Secretary in David Lloyd George's coalition. He was frequently left out of the inner workings of foreign policy, although the Balfour Declaration on a Jewish homeland bore his name. He continued to serve in senior positions throughout the 1920s, and died on 19 March 1930 aged 81, having spent a vast inherited fortune. He never married. Balfour trained as a philosopher – he originated an argument against believing that human reason could determine truth – and was seen as having a detached attitude to life, epitomised by a remark attributed to him: "Nothing matters very much and few things matter at all". 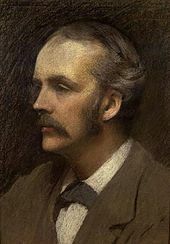 Arthur Balfour was born at Whittingehame House, East Lothian, Scotland, the eldest son of James Maitland Balfour (1820–1856) and Lady Blanche Gascoyne-Cecil (1825–1872). His father was a Scottish MP, as was his grandfather James; his mother, a member of the Cecil family descended from Robert Cecil, 1st Earl of Salisbury, was the daughter of the 2nd Marquess of Salisbury and a sister to the 3rd Marquess, the future Prime Minister. His godfather was the Duke of Wellington, after whom he was named. He was the eldest son, third of eight children, and had four brothers and three sisters. Arthur Balfour was educated at Grange Preparatory School at Hoddesdon, Hertfordshire (1859–1861), and Eton College (1861–1866), where he studied with the influential master, William Johnson Cory. He then went up to the University of Cambridge, where he read moral sciences at Trinity College (1866–1869), graduating with a second-class honours degree. 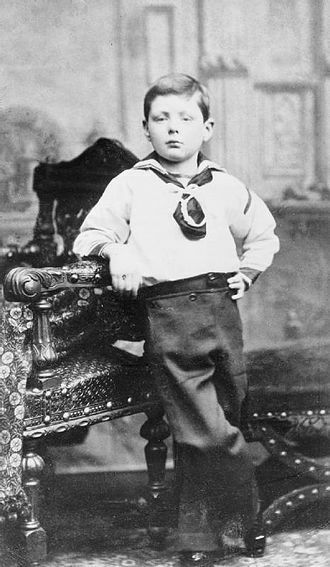 His younger brother was the Cambridge embryologist Francis Maitland Balfour (1851–1882). Balfour met his cousin May Lyttelton in 1870 when she was 19. After her two previous serious suitors had died, Balfour is said to have declared his love for her in December 1874. She died of typhus on Palm Sunday, March 1875; Balfour arranged for an emerald ring to be buried in her coffin. Lavinia Talbot, May's older sister, believed that an engagement had been imminent, but her recollections of Balfour's distress (he was "staggered") were not written down until thirty years later. The historian R. J. Q. Adams points out that May's letters discuss her love life in detail, but contain no evidence that she was in love with Balfour, nor that he had spoken to her of marriage. He visited her only once during her serious three-month illness, and was soon accepting social invitations again within a month of her death. Adams suggests that, although he may simply have been too shy to express his feelings fully, Balfour may also have encouraged tales of his youthful tragedy as a convenient cover for his disinclination to marry; the matter cannot be conclusively proven. In later years mediums claimed to pass on messages from her – see the "Palm Sunday Case". Balfour remained a lifelong bachelor. Margot Tennant (later Margot Asquith) wished to marry him, but Balfour said: "No, that is not so. I rather think of having a career of my own." His household was maintained by his unmarried sister, Alice. In middle age, Balfour had a 40-year friendship with Mary Charteris (née Wyndham), Lady Elcho, later Countess of Wemyss and March. Although one biographer writes that "it is difficult to say how far the relationship went", her letters suggest they may have become lovers in 1887 and may have engaged in sado-masochism, a claim echoed by A. N. Wilson. Another biographer believes they had "no direct physical relationship", although he dismisses as unlikely suggestions that Balfour was homosexual, or, in view of a time during the Boer War when he replied to a message while drying himself after his bath, Lord Beaverbrook's claim that he was "a hermaphrodite" whom no-one saw naked. In 1874 Balfour was elected Conservative Member of Parliament (MP) for Hertford until 1885. In spring 1878, he became Private Secretary to his uncle, Lord Salisbury. He accompanied Salisbury (then Foreign Secretary) to the Congress of Berlin and gained his first experience in international politics in connection with the settlement of the Russo-Turkish conflict. At the same time he became known in the world of letters; the academic subtlety and literary achievement of his Defence of Philosophic Doubt (1879) suggested he might make a reputation as a philosopher. Balfour divided his time between politics and academic pursuits. Released from his duties as private secretary by the general election of 1880, he began to take more part in parliamentary affairs. He was for a time politically associated with Lord Randolph Churchill, Sir Henry Drummond Wolff and John Gorst. This quartet became known as the "Fourth Party" and gained notoriety for leader Lord Randolph Churchill's free criticism of Sir Stafford Northcote, Lord Cross and other prominent members of the "old gang". Coat of arms of the Lord Balfour KG, as displayed on his Garter stall plate at St. George's Chapel, Windsor, viz.' Argent on a chevron engrailed between three mullets sable, three otters' heads erased of the field. In 1885, Lord Salisbury appointed Balfour President of the Local Government Board; the following year he became Secretary for Scotland with a seat in the cabinet. These offices, while offering few opportunities for distinction, were an apprenticeship. In early 1887, Sir Michael Hicks Beach, the Chief Secretary for Ireland, resigned because of illness and Salisbury appointed his nephew in his place. That surprised the political world and possibly led to the British phrase "Bob's your uncle!" The selection took the political world by surprise, and was much criticized. It was received with contemptuous ridicule by the Irish Nationalists, for none suspected Balfour's immense strength of will, his debating power, his ability in attack and his still greater capacity to disregard criticism. Balfour surprised critics by ruthless enforcement of the Crimes Act, earning the nickname "Bloody Balfour". His steady administration did much to dispel his reputation as a political lightweight. In Parliament he resisted overtures to the Irish Parliamentary Party on Home Rule, and, allied with Joseph Chamberlain's Liberal Unionists, encouraged Unionist activism in Ireland. Balfour also helped the poor by creating the Congested Districts Board for Ireland in 1890. In 1886–1892 he became one of the most effective public speakers of the age. Impressive in matter rather than delivery, his speeches were logical and convincing, and delighted an ever-wider audience. On the death of W. H. Smith in 1891, Balfour became First Lord of the Treasury – the last in British history not to have been concurrently Prime Minister as well – and Leader of the House of Commons. After the fall of the government in 1892 he spent three years in opposition. When the Conservatives returned to power, in coalition with the Liberal Unionists, in 1895, Balfour again became Leader of the House and First Lord of the Treasury. His management of the abortive education proposals of 1896 showed a disinclination for the drudgery of parliamentary management, yet he saw the passage of a bill providing Ireland with improved local government and joined in debates on foreign and domestic questions between 1895 and 1900. During the illness of Lord Salisbury in 1898, and again in Salisbury's absence abroad, Balfour was in charge of the Foreign Office, and he conducted negotiations with Russia on the question of railways in North China. As a member of the cabinet responsible for the Transvaal negotiations in 1899, he bore his share of controversy and, when the war began disastrously, he was first to realise the need to use the country's full military strength. His leadership of the House was marked by firmness in the suppression of obstruction, yet there was a slight revival of the criticisms of 1896. On Lord Salisbury's resignation on 11 July 1902, Balfour succeeded him as Prime Minister, with the approval of all the Unionist party. The new Prime Minister came into power practically at the same moment as the coronation of King Edward VII and Queen Alexandra and the end of the South African War. The Liberal party was still disorganised over the Boers. In foreign affairs, Balfour and his Foreign Secretary, Lord Lansdowne, improved relations with France, culminating in the Entente cordiale of 1904. The period also saw the Russo-Japanese War, when Britain, an ally of the Japanese, came close to war with Russia after the Dogger Bank incident. On the whole, Balfour left the conduct of foreign policy to Lansdowne, being busy himself with domestic problems. Balfour, who had known Zionist leader Chaim Weizmann since 1906, opposed Russian mistreatment of Jews and increasingly supported Zionism as a program for European Jews to settle in Palestine. However, in 1905 he supported stringent anti-immigration legislation, meant primarily to prevent Jewish immigrants fleeing the pogroms of Eastern Europe from entering Britain. The budget was certain to show a surplus and taxation could be remitted. Yet as events proved, it was the budget that would sow dissension, override other legislative concerns and signal a new political movement. Charles Thomson Ritchie's remission of the shilling import-duty on corn led to Joseph Chamberlain's crusade in favour of tariff reform. These were taxes on imported goods with trade preference given to the Empire, to protect British industry from competition, strengthen the Empire in the face of growing German and American economic power, and provide revenue, other than raising taxes, for the social welfare legislation. As the session proceeded, the rift grew in the Unionist ranks. Tariff reform was popular with Unionist supporters, but the threat of higher prices for food imports made the policy an electoral albatross. Hoping to split the difference between the free traders and tariff reformers in his cabinet and party, Balfour favoured retaliatory tariffs to punish others who had tariffs against the British, in the hope of encouraging global free trade. This was not sufficient for either the free traders or the extreme tariff reformers in government. With Balfour's agreement, Chamberlain resigned from the Cabinet in late 1903 to campaign for tariff reform. At the same time, Balfour tried to balance the two factions by accepting the resignation of three free-trading ministers, including Chancellor Ritchie, but the almost simultaneous resignation of the free-trader Duke of Devonshire (who as Lord Hartington had been the Liberal Unionist leader of the 1880s) left Balfour's Cabinet weak. By 1905 few Unionist MPs were still free traders (Winston Churchill crossed to the Liberals in 1904 when threatened with deselection at Oldham), but Balfour's act had drained his authority within the government. In foreign policy, the Anglo-French Convention (1904), which formed the basis of the Entente with France. Balfour's weak points include the tariff fight with Chamberlain; it split the Unionist party as resignations from his cabinet reduced it almost to a rump. Ensor adds, "the controversy over Chinese labour for the Rand; in sanctioning which Balfour committed as prime minister his one quite indefensible mistake." Balfour was appointed Prime Minister on 12 July 1902 while the King was recovering from his recent operation. Changes to the Cabinet were thus not announced until 9 August, when the King was back in London. The new ministers were received in audience and took their oaths on 11 August. After the general election of 1906 Balfour remained party leader, his position strengthened by Joseph Chamberlain's absence from the House of Commons after his stroke in July 1906, but he was unable to make much headway against the huge Liberal majority in the Commons. An early attempt to score a debating triumph over the government, made in Balfour's usual abstruse, theoretical style, saw Campbell-Bannerman respond with: "Enough of this foolery," to the delight of his supporters. Balfour made the controversial decision, with Lord Lansdowne, to use the heavily Unionist House of Lords as a check on the political programme and legislation of the Liberal party in the Commons. 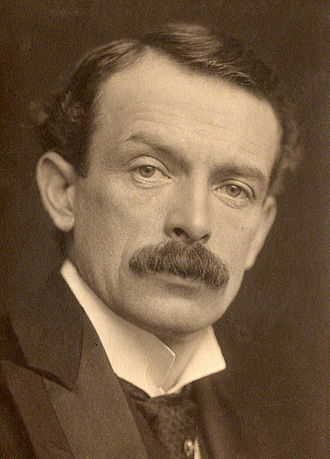 Legislation was vetoed or altered by amendments between 1906 and 1909, leading David Lloyd George to remark that the Lords had become "not the watchdog of the Constitution, but Mr. Balfour's poodle." 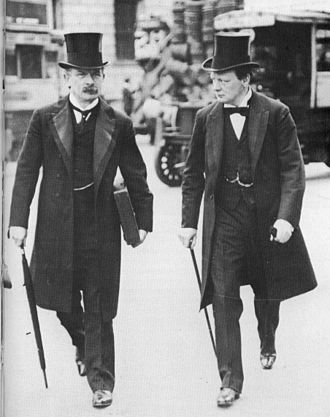 The issue was forced by the Liberals with Lloyd George's People's Budget, provoking the constitutional crisis that led to the Parliament Act 1911, which limited the Lords to delaying bills for up to two years. 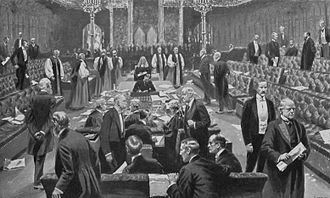 After the Unionists lost the general elections of 1910 (despite softening the tariff reform policy with Balfour's promise of a referendum on food taxes), the Unionist peers split to allow the Parliament Act to pass the House of Lords, to prevent mass creation of Liberal peers by the new King, George V. The exhausted Balfour resigned as party leader after the crisis, and was succeeded in late 1911 by Bonar Law. Balfour remained important in the party, however, and when the Unionists joined Asquith's coalition government in May 1915, Balfour succeeded Churchill as First Lord of the Admiralty. When Asquith's government collapsed in December 1916, Balfour, who seemed a potential successor to the premiership, became Foreign Secretary in Lloyd George's new administration, but not in the small War Cabinet, and was frequently left out of inner workings of government. Balfour's service as Foreign Secretary was notable for the Balfour Mission, a crucial alliance-building visit to the US in April 1917, and the Balfour Declaration of 1917, a letter to Lord Rothschild affirming the government's support for the establishment of a "national home for the Jewish people" in Palestine, then part of the Ottoman Empire. Balfour resigned as Foreign Secretary following the Versailles Conference in 1919, but continued in the government (and the Cabinet after normal peacetime political arrangements resumed) as Lord President of the Council. In 1921–22 he represented the British Empire at the Washington Naval Conference and during summer 1922 stood in for the Foreign Secretary, Lord Curzon, who was ill. He put forward a proposal for the international settlement of war debts and reparations (the Balfour Note), but it was not accepted.. In 1922 he, with most of the Conservative leadership, resigned with Lloyd George's government following the Conservative back-bench revolt against continuance of the coalition. Bonar Law became Prime Minister. On 5 May 1922, Balfour was created Earl of Balfour and Viscount Traprain, 'of Whittingehame, in the county of Haddington.' Like many Coalition leaders, he did not hold office in the Conservative governments of 1922–4, but as an elder statesman, he was consulted by the King in the choice of Baldwin as Bonar Law's successor as Conservative leader in May 1923. When asked whether "dear George" (the much more experienced Lord Curzon) would be chosen, he replied, referring to Curzon's wealthy wife Grace, "No, dear, George will not but while he may have lost the hope of glory he still possesses the means of Grace." Balfour was not initially included in Stanley Baldwin's second government in 1924, but in 1925, he returned to the Cabinet, in place of the late Lord Curzon as Lord President of the Council, until the government ended in 1929. With 28 years of government service, Balfour is considered to have had one of the longest ministerial careers in modern British politics, second only to Winston Churchill. In 1925, he visited the Holy Land. Apart from a number of colds and occasional influenza, Balfour had good health until 1928 and remained until then a regular tennis player. Four years previously he had been the first president of the International Lawn Tennis Club of Great Britain. At the end of 1928, most of his teeth were removed and he suffered the unremitting circulatory trouble which ended his life. 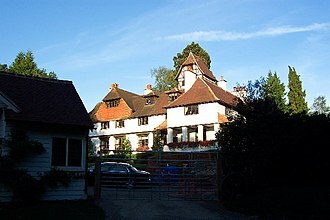 Late in January 1929, Balfour was taken from Whittingehame to Fishers Hill House, his brother Gerald's home near Woking, Surrey. In the past, he had suffered occasional phlebitis and by late 1929 he was immobilised by it. Finally, soon after receiving a visit from his friend Chaim Weizmann, Balfour died at Fishers Hill House on 19 March 1930. At his request a public funeral was declined, and he was buried on 22 March beside members of his family at Whittingehame in a Church of Scotland service although he also belonged to the Church of England. By special remainder, the title passed to his brother Gerald. His obituaries in The Times, The Guardian and the Daily Herald did not mention the declaration for which he is most famous outside Britain. Early in Balfour's career, according to the Encyclopædia Britannica Eleventh Edition, he was thought to be merely amusing himself with politics, and it was regarded as doubtful whether his health could withstand the severity of English winters. He was considered a dilettante by his colleagues, but apparently Lord Salisbury did not share that opinion when he gave junior posts in his government to his nephew. To Mr. Arthur Balfour this studied attitude of aloofness has been fatal, both to his character and to his career. He has said nothing, written nothing, done nothing, which lives in the heart of his countrymen. To look back upon his record is to see a desert, and a desert with no altar and with no monument, without even one tomb at which a friend might weep. One does not say of him, "He nearly succeeded there", or "What a tragedy that he turned from this to take up that"; one does not feel for him at any point in his career as one feels for Mr. George Wyndham or even for Lord Randolph Churchill; from its outset until now that career stretches before our eyes in a flat and uneventful plain of successful but inglorious and ineffective self-seeking. Churchill compared Balfour to H. H. Asquith: "The difference between Balfour and Asquith is that Arthur is wicked and moral, while Asquith is good and immoral." Balfour said of himself, "I am more or less happy when being praised, not very comfortable when being abused, but I have moments of uneasiness when being explained." Balfour was interested in the study of dialects and donated money to Joseph Wright's work on the English Dialect Dictionary. Wright wrote in the preface to the first volume that the project would have been "in vain" had he not received the donation from Balfour. Balfour is thought to have formulated the basis for the evolutionary argument against naturalism. Balfour argued the Darwinian premise of selection for reproductive fitness cast doubt on scientific naturalism, because human cognitive facilities that would accurately perceive truth could be less advantageous than adaptation for evolutionarily useful illusions. [There is] no distinction to be drawn between the development of reason and that of any other faculty, physiological or psychical, by which the interests of the individual or the race are promoted. From the humblest form of nervous irritation at the one end of the scale, to the reasoning capacity of the most advanced races at the other, everything without exception (sensation, instinct, desire, volition) has been produced directly or indirectly, by natural causes acting for the most part on strictly utilitarian principles. Convenience, not knowledge, therefore, has been the main end to which this process has tended. He was a member of the Society for Psychical Research, a society studying psychic and paranormal phenomena, and was its president from 1892 to 1894. In 1914, he delivered the Gifford Lectures at the University of Glasgow, which formed the basis for the book Theism and Humanism (1915). After the First World War, when there was controversy over the style of headstone proposed for use on British war graves being taken on by the Imperial War Graves Commission, Balfour submitted a design for a cruciform headstone. At an exhibition in August 1919, it drew many criticisms; the Commission's principal architect, Sir John Burnet, said Balfour's cross would create a criss-cross effect destroying any sense of "restful diginity", Edwin Lutyens called it "extraordinarily ugly", and its shape was variously described as resembling a shooting target or bottle. His design was not accepted but the Commission offered him a second chance to submit another design which he did not take up, having been refused once. After a further exhibition in the House of Commons, the "Balfour cross" was ultimately rejected in favour of the standard headstone the Commission permanently adopted because the latter offered more space for inscriptions and service emblems. Balfour was the subject of two parody novels based on Alice in Wonderland, Clara in Blunderland (1902) and Lost in Blunderland (1903), which appeared under the pseudonym Caroline Lewis; one of the co-authors was Harold Begbie. The character Arthur Balfour plays a supporting, off-screen role in Upstairs, Downstairs, promoting the family patriarch, Richard Bellamy, to the position of Civil Lord of the Admiralty. Balfour was portrayed by Adrian Ropes in the 1974 Thames TV production Jennie: Lady Randolph Churchill. Balfour was portrayed by Lyndon Brook in the 1975 ATV production Edward the Seventh. A fictionalised version of Arthur Balfour (identified as "Mr. Balfour") appears as British Prime Minister in the science fiction romance The Angel of the Revolution by George Griffith, published in 1893 (when Balfour was still in opposition) but set in an imagined near future of 1903–1905. The indecisive Balfour (identified as "Halfan Halfour") appears in "Ministers of Grace", a satirical short story by Saki in which he, and other leading politicians including Quinston, are changed into animals appropriate to their characters. A portrait of Balfour by Philip de Laszlo is in the collection of Trinity College, Cambridge. Balfouria, a moshav in Israel and many streets in Israel are named after him. He was appointed as a Deputy Lieutenant of Ross-shire on 10 September 1880, giving him the post-nominal letters "DL". 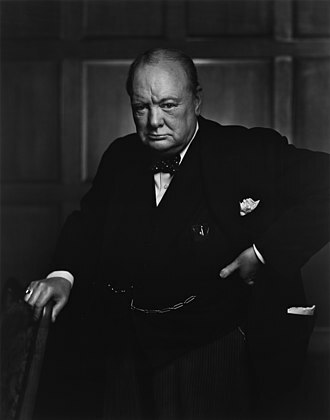 He was sworn of the Privy Council of the United Kingdom in 1885, giving him the style "The Right Honourable" and after ennoblement the post-nominal letters "PC" for life. On 3 June 1916 he was appointed to the Order of Merit, giving him the post-nominal letters "OM" for life. In 1919, he was elected Chancellor of his old university, Cambridge, in succession to his brother-in-law, Lord Rayleigh. He was made a Knight Companion of the Order of the Garter on 24 February 1922, becoming Sir Arthur Balfour and giving him the post-nominal letters "KG" for life. On 5 May 1922, Balfour was raised to the peerage as Earl of Balfour and Viscount Thaprain, of Whittingehame, in the county of Haddington. This allowed him to sit in the House of Lords. He was awarded the Estonian Cross of Liberty (conferred between 1919–25), third grade, first class, for Civilian Service. ^ Simon Taylor with Gilbert Márkus, The Place-Names of Fife Volume Two: Central Fife between the Rivers Leven and Eden (Donington, 2008), p. 408. ^ "Fife Place-name Data :: Balfour". ^ Chisholm 1911, p. 250. ^ "Balfour, Arthur (BLFR866AJ)". A Cambridge Alumni Database. University of Cambridge. ^ R. J. Q. Adams, Balfour, The Last Grandee, pp. 29–33. ^ Oppenheim, Janet (1988). The Other World: Spiritualism and Psychical Research in England, 1850–1914. Cambridge University Press. pp. 132–133. ISBN 978-0-521-34767-9. ^ a b Wilson, A. N. (2011). The Victorians. Random House. p. 530. ISBN 978-1-4464-9320-5. ^ Sargent, John Singer (February 2010) . "The Wyndham Sisters: Lady Elcho, Mrs. Adeane, and Mrs. Tennant". The Metropolitan Museum of Art. Retrieved 4 June 2012. ^ R. J. Q. Adams, Balfour, The Last Grandee, p. 47. ^ Mackay, Balfour, Intellectual Statesman, p. 8. ^ Chisholm 1911, pp. 250–251. ^ a b c d e f g Chisholm 1911, p. 251. ^ 1933–2014., Langguth, A. J. (1981). Saki, a life of Hector Hugh Munro : with six short stories never before collected. Saki, 1870–1916. New York: Simon and Schuster. p. 65. ISBN 9780671247157. OCLC 7554446. ^ Massie, Robert. Dreadnought. New York: Random House, 1991. pp. 318–19. ^ a b Chisholm 1911, p. 252. ^ Milton Viorst (2016). Zionism: The Birth and Transformation of an Ideal. p. 80. ISBN 9781466890329. ^ Shlomo Sand, The Invention of the Land of Israel: From Holy Land to Homeland (London: Verso, 2012), 14–15. ^ Chisholm 1911, p. 254. ^ R. C. K. Ensor (1936) England, 1870–1914 Oxford: Clarendon. p 355 online. ^ Wendy Robinson, "Historiographical reflections on the 1902 Education Act." Oxford Review of Education 28.2–3 (2002): 159–172. ^ Philip Bull, "The significance of the nationalist response to the Irish land act of 1903." Irish Historical Studies 28.111 (1993): 283–305. ^ Paul Jennings, "Liquor licensing and the local historian: the 1904 Licensing Act and its administration." The Local Historian 9.1 (2009): 24–37. ^ P. J. V. Rolo, Entente Cordiale: the origins and negotiation of the Anglo-French agreements of 8 April 1904 (Macmillan, 1969). ^ Richard A. Rempel, Unionists Divided; Arthur Balfour, Joseph Chamberlain and the Unionist Free Traders (1972). ^ Ensor, pp 355, 376–78. ^ "Mr Balfour´s Ministry – full list of appointments". The Times (36842). London. 9 August 1902. p. 5. ^ Parkinson, Justin (2013-06-13). "Chasing Churchill: Ken Clarke climbs ministerial long-service chart". BBC News. ^ "In the Promised Land". Time Magazine. 13 April 1925. ^ History of Arthur James Balfour – GOV.UK. Number10.gov.uk (19 March 1930). Retrieved on 15 August 2013. ^ Wright, Joseph (1898). The English Dialect Dictionary, Volume 1 A-C. London: Henry Frowde. p. viii. ^ Lycett, Andrew. The Man Who Created Sherlock Holmes. New York: Simon and Schuster, 2008. ^ Madigan, Tim. The Paradoxes of Arthur Balfour. Philosophy Now. 2010. ^ a b Longworth, Philip (1985). The Unending Vigil. The History of the Commonwealth War Graves Commission. Leo Cooper Pen & Sword Books. p. 48. ISBN 978-1-84415-004-5. ^ The Unending Vigil. p. 49. ^ The Unending Vigil. p. 50. ^ Sigler, Carolyn, ed. 1997. Alternative Alices: Visions and Revisions of Lewis Carroll's "Alice" Books. Lexington, KY, University Press of Kentucky, pp. 340–347. ^ Dickinson, Evelyn. 1902. "Literary Note and Books of the Month", in United Australia, Vol. II, No. 12, 20 June 1902. 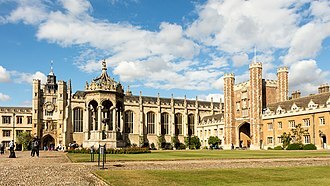 ^ "Trinity College, University of Cambridge". BBC Your Paintings. Archived from the original on 2014-05-11. ^ "The London Gazette". Retrieved 2016-07-24. ^ a b c d "Page 1643". The Peerage. Retrieved 24 April 2016. ^ "Mr. Balfour at Haddington". The Times (36879). London. 22 September 1902. p. 5. ^ "The page you requested cannot be found - University of Wales" (PDF). ^ "Honour for Earl of Balfour". The Scotsman (25, 446). 17 December 1924. p. 8 – via British Newspaper Archive. ^ Edward J. Davies, "The Balfours of Balbirnie and Whittingehame", The Scottish Genealogist, 60(2013):84–90. This article incorporates text from a publication now in the public domain: Chisholm, Hugh (1911). "Balfour, Arthur James" . In Chisholm, Hugh. Encyclopædia Britannica. 3 (11th ed.). Cambridge University Press. pp. 250–254. This article was written by Chisholm himself soon after Balfour's premiership, while he was still leader of the Opposition. It includes a significant amount of contemporaneous analysis, some of which is summarised here. Buckle, George Earle (1922). "Balfour, Arthur James" . In Chisholm, Hugh. Encyclopædia Britannica. 30 (12th ed.). London & New York. pp. 366–368. Raymond, E. T. (1920). A Life of Arthur James Balfour. Zebel, Sydney Henry. Balfour: a political biography (ICON Group International, 1973). Begbie, Harold: Mirrors of Downing Street- some political reflections, Mills and Boon (1920). Ellenberger, Nancy W. Balfour's World: Aristocracy and Political Culture at the Fin de Siècle (2015). Gollin, Alfred M. Balfour's burden: Arthur Balfour and imperial preference(1965). Judd, Denis. Balfour and the British Empire: a study in Imperial evolution 1874–1932 (1968). Mathew, William M. "The Balfour Declaration and the Palestine Mandate, 1917–1923: British Imperialist Imperatives." British Journal of Middle Eastern Studies 40.3 (2013): 231–250. O'Callaghan, Margaret. British high politics and a nationalist Ireland: criminality, land and the law under Forster and Balfour (Cork Univ Pr, 1994). Ramsden, John. A History of the Conservative Party: The age of Balfour and Baldwin, 1902–1940 (1978); vol 3 of a scholarly history of the Conservative Party. Shannon, Catherine B. "The Legacy of Arthur Balfour to Twentieth-Century Ireland." in Peter Collins, ed. Nationalism and Unionism (1994): 17–34. Shannon, Catherine B. Arthur J. Balfour and Ireland, 1874–1922 (Catholic Univ of America Press, 1988). Taylor, Tony. "Arthur Balfour and educational change: The myth revisited." British Journal of Educational Studies 42#2 (1994): 133–149. Tomes, Jason. Balfour and foreign policy: the international thought of a conservative statesman (Cambridge University Press, 2002). 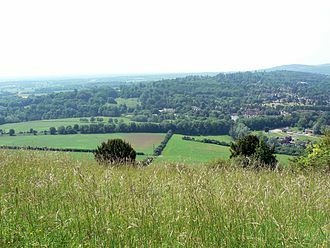 Wikimedia Commons has media related to Arthur Balfour, 1st Earl of Balfour. "Archival material relating to Arthur Balfour". UK National Archives. Spikily, Samir: Balfour, Arthur James Balfour, Earl of, in: 1914-1918-online. International Encyclopedia of the First World War. Sir Henry Campbell-Bannerman, GCB was a British Liberal Party politician who served as Prime Minister of the United Kingdom from 1905 to 1908 and Leader of the Liberal Party from 1899 to 1908. 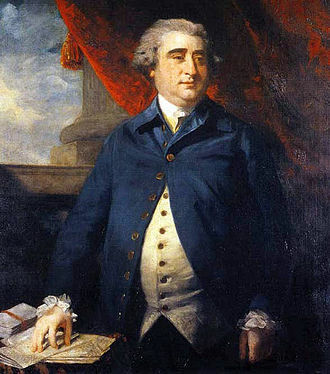 He served as Secretary of State for War twice, in the Cabinets of Gladstone and he was the first First Lord of the Treasury to be officially called Prime Minister, the term only coming into official usage five days after he took office. He remains the only person to date to hold the positions of Prime Minister and Father of the House at the same time, known colloquially as CB, he was a firm believer in free trade, Irish Home Rule and the improvement of social conditions. He has been referred to as Britains first, and only, Campbell-Bannerman resigned as Prime Minister on 3 April 1908 due to ill health and was replaced by his Chancellor, H. H. Asquith. Henrys older brother, served as the Conservative Member of Parliament for Glasgow and he was opposed to the majority of his younger brothers policies, and chose to stand down in the same election that would bring Campbell-Bannerman to power. Campbell-Bannerman was educated at the High School of Glasgow, the University of Glasgow, and Trinity College, after graduating, he joined the family firm of J. & W. Campbell & Co. based in Glasgows Ingram Street. Campbell was made a partner in the firm in 1860, following his marriage that year to Sarah Charlotte Bruce and his new bride set up residence at 6 Clairmont Gardens in the Park district in the West End of Glasgow. The couple never had any children, physically the couple, both reportedly enormous eaters, each weighed nearly 20 stone in years. Campbell-Bannerman spoke French and Italian fluently, and every summer he and his wife spent a couple of months in Europe, usually in France and at the spa town of Marienbad in Bohemia. In April 1868, at the age of thirty-one, Campbell-Bannerman stood as a Liberal candidate in a by-election for the Stirling Burghs constituency, narrowly losing to fellow Liberal John Ramsay. In Gladstones third and fourth governments, in 1886 and 1892 to 1894 respectively, as well as Roseberys government from 1894 to 1895, he served as Secretary of State for War. Whittingehame is a parish with a small village in East Lothian, about halfway between Haddington and Dunbar, and near East Linton. The area is on the slopes of the Lammermuir Hills, Whittingehame Tower dates from the 15th century and remains a residence. 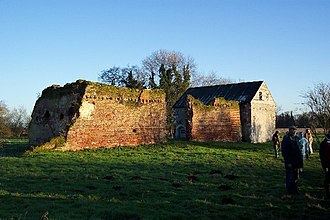 The barony was anciently the possession of the Dunbar Earls of March family, in 1372 George de Dunbar, 10th Earl of March, gave in marriage with his sister Agnes to James Douglas of Dalkeith, the manor of Whittingehame, with the patronage of the Chapel. This William Douglas had married in 1566 Elizabeth, daughter of Sir Richard Maitland of Lethington, on 26 August 1582 William Douglas of Whittingehame is cited as one of the Ruthven raiders. 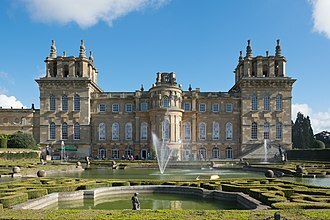 Their youngest daughter Elizabeth, carried Whittingehame to her husband William Hay of Duns and Drumelzier, the Hays, as proprietors, were highly esteemed by their tenants. In 1817 they sold Whittingehame and Stoneypath, near Garvald, to James Balfour, second son of John Balfour, 5th of Balbirnie in Fife, James Balfour subsequently enlarged his estate by buying up a great many adjoining properties. By 1900 there were about 25 farms on the Whittingehame estate, the coal mines on their Fife lands greatly increased their prosperity throughout the 19th century. 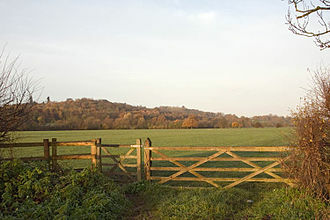 This became the home of the Balfours and the birthplace of the Prime Minister Arthur Balfour. Between 1939 and 1941, Whittingehame was converted into a school for Jewish refugee children coming to Britain through the Kindertransport, the school, known as the Whittingehame Farm School, sheltered 160 children between the ages of 7 and 17. This building, a country house and A-listed, still stands. It is not open to the public, having passed through various hands after the Balfours there is still much of interest to see, including a spectacular ceiling to the dining room. A parochial school, of which the laird was patron, was established at Whittingehame. In 1820 James Balfour rebuilt the church, supplanting the previous rebuild of 1722, and established, in 1840 and it consist of a schoolhouse and a string of cottages, all in red sandstone. Michael Hicks Beach (centre) with Arthur Balfour (left) and Joseph Chamberlain (right), by Sir Francis Carruthers Gould. Susan Elwes, aka Lady Hicks Beach. "Vicar General". Caricature by Spy published in Vanity Fair in 1902.